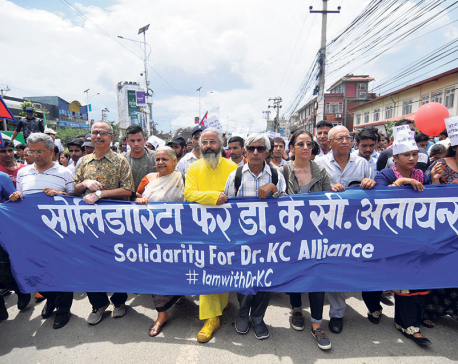 They staged protests in an expression of solidarity with Dr KC as his fast-unto-death protest continued for 17th day on Wednesday. 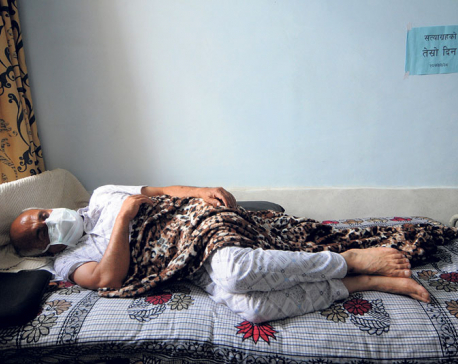 Dr KC began his 11th fast-unto-death at the TU Teaching Hospital, Maharajgunj on July 24, demanding the government to bring a long overdue Medical Education Act, slash fees of postgraduate studies in medicine from Rs 3.1 million to Rs 2.2 million and probe the irregularities of TU officials among other things. In Jajarkot, medical personnel have started working by wearing black bands around their arms expressing support with Dr KC's hunger strike. 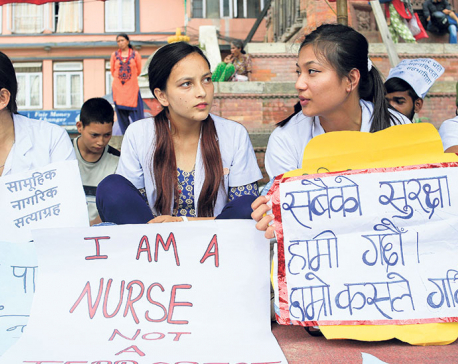 According to Dr Bhupendra Prakash Malla of the Jajarkot district hospital, they would stop work and halt services from Thursday if the government did not address his demands. Meanwhile in Chitwan, Solidarity for Govinda KC Alliance has started a relay hunger strike. Before starting their relay hunger strike, the organization submitted a memorandum to the chief district officer, Narayan Prasad Bhattarai. "Until the demands are met, four groups will participate in the relay hunger strike," informed coordinator of the Alliance, Amar Ghimire. 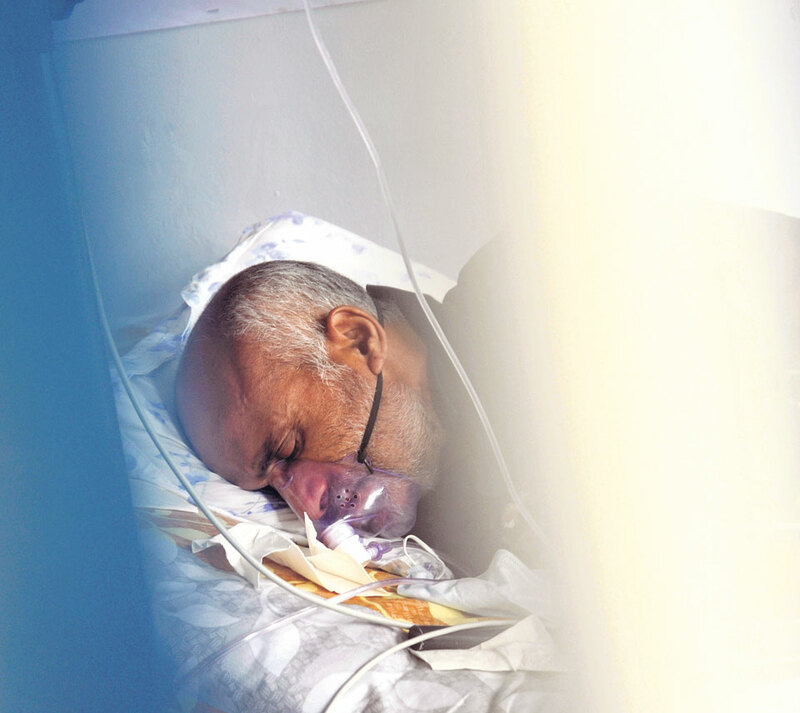 Dr KC's condition, according to the doctors attending to him, has deteriorated and he might need to be shifted to the Intensive Care Unit anytime.